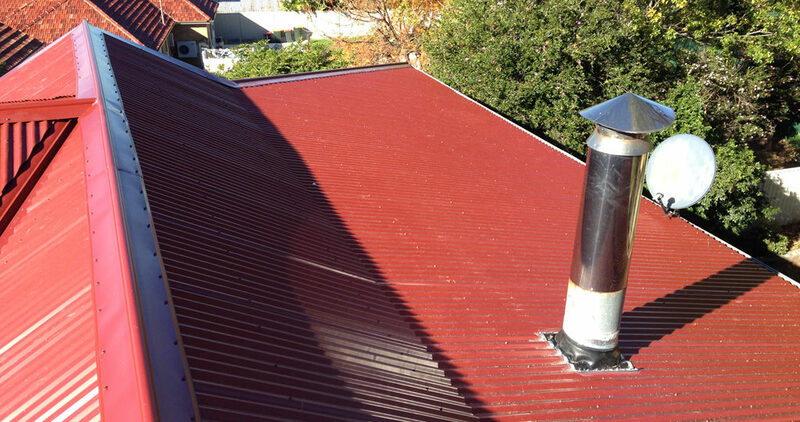 A Roof Plumber is a specialist in metal roofing, covering roofing itself, guttering and drainage. Using a specialist may cost you a bit more, but you don’t end up with a gutter that falls the wrong way i.e. the downpipe is at one end, but the gutter falls the other way so the water goes nowhere near the downpipe. This is just one example of the many things that could affect your roof in heavy rain. At All Roofing Services we insist that our roofers always deliver a high quality product, and they all take pride in the work that they do. If an issue is found whilst installing a roof, they will ensure that it is addressed and that the various solutions are discussed to your satisfaction. Replacing a roof can be an expensive exercise which is why you want a qualified Roof Plumber doing your initial inspection and quote. They are going to find why your roof is leaking and recommend the best solution. If you have questions or concerns about your roof, it is best to speak to a Roof Plumber, so contact us now through our Free Quote page and get your questions answered.